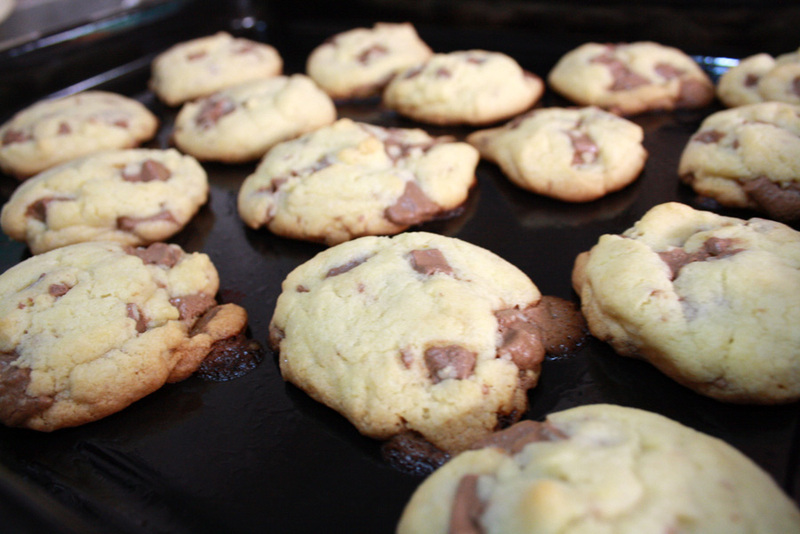 The whole family does share a love for chocolate, so I decided to make cookies for dessert. 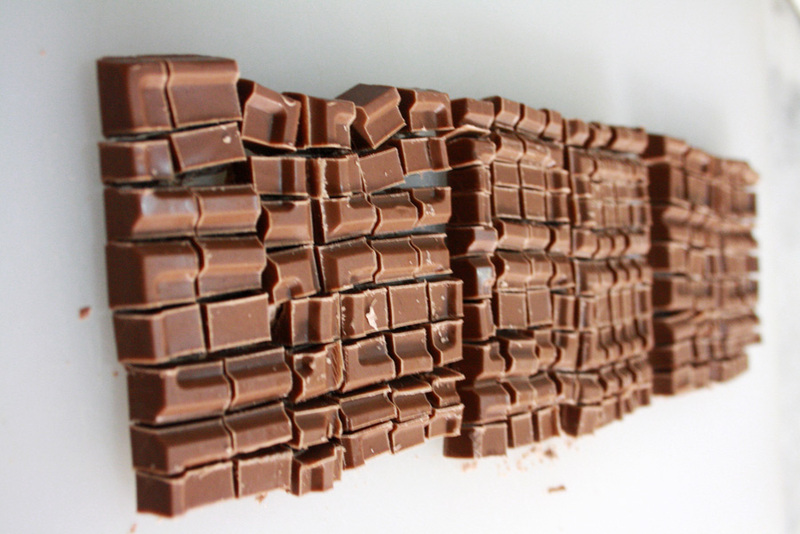 And since we didn’t have chocolate chips – silly me, I forget the littlest things – I chopped the bar of baking chocolate that I had lying around for a month. I guess my even chopping looks a bit OCD here. It doesn’t have to be this even. Your chunks can be any size you like. 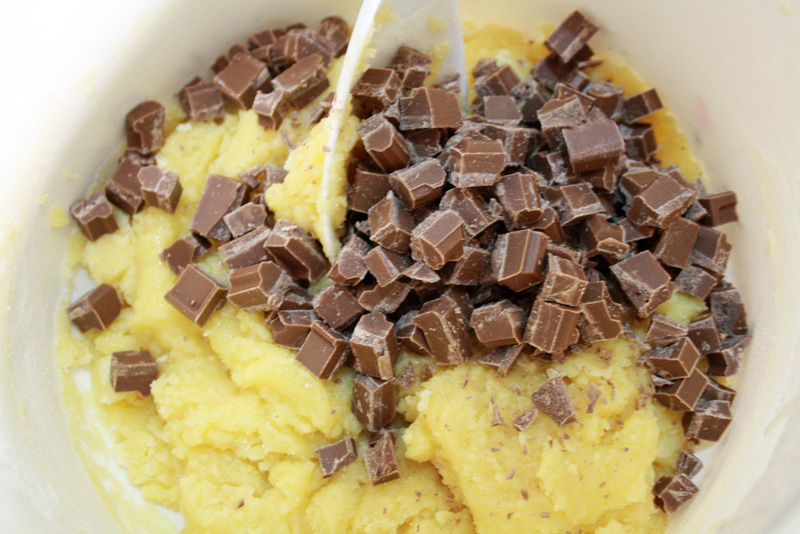 I did have to hide the chocolate chunks in my parents’ room before I was ready to mix them into the dough because my sister kept on stealing a couple here and there. If I waited 10 minutes longer, I wouldn’t have any left to put in the cookies! I forgot to mention that I got this recipe from Smitten Kitchen. I really like it because it’s very simple, the ingredients are easy to procure and I can make it without taking the electric beater out and just use arm power. I can get really lazy, you see. 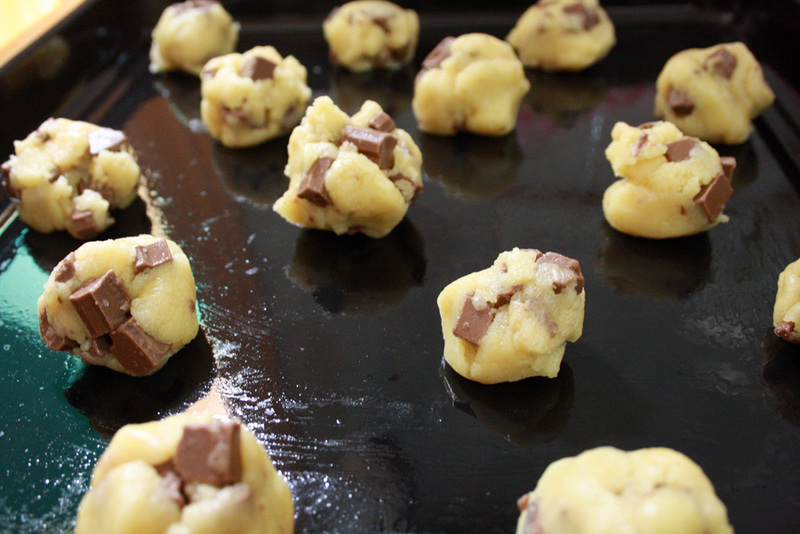 Forming the cookie dough into little balls was really easy, as the dough is more firm than other recipes I’ve tried. It’s also not sticky! No messy, icky spots on the table or the spoon. There’s no timer either. So if I forget to look at the clock, I have to rely on my nose and by peeking into the oven every now and then since there’s no internal lamp. Maybe we need a new oven. Hmm. I did mess up the first batch (left side pic). The fire was a bit too much and the cookies were burning at barely 10 minutes inside. So I lowered the fire and the second batch came out fine. A bit pale on top but a nice medium brown underneath (right side pic). 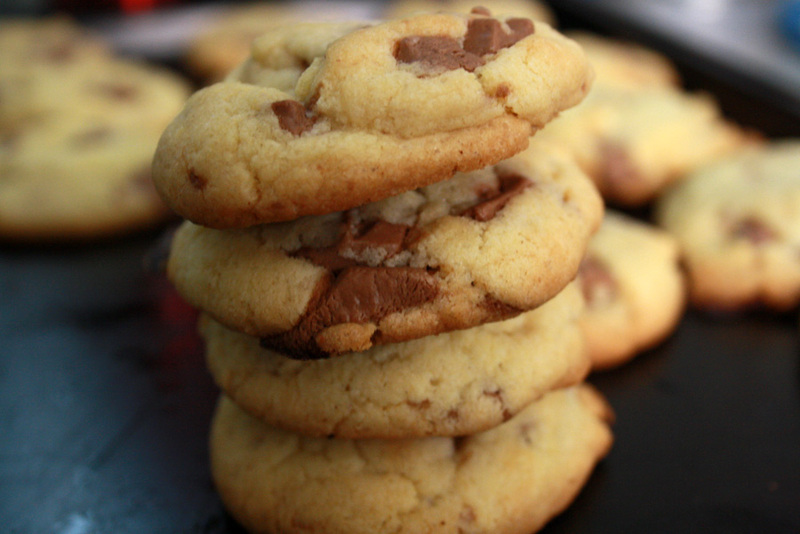 I think I found my new go-to recipe for chocolate chip/chunk cookies.